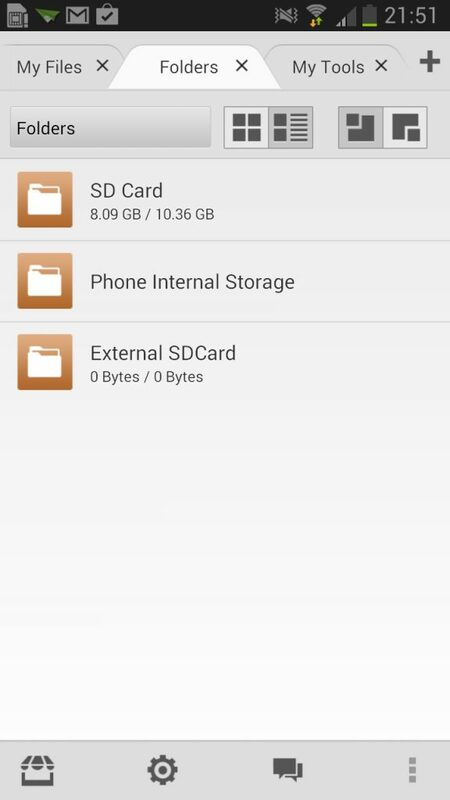 File Expert HD can only be described as probably the best file manager on the Google Play Store. Now I know that’s a big claim to make, but read on to find out. 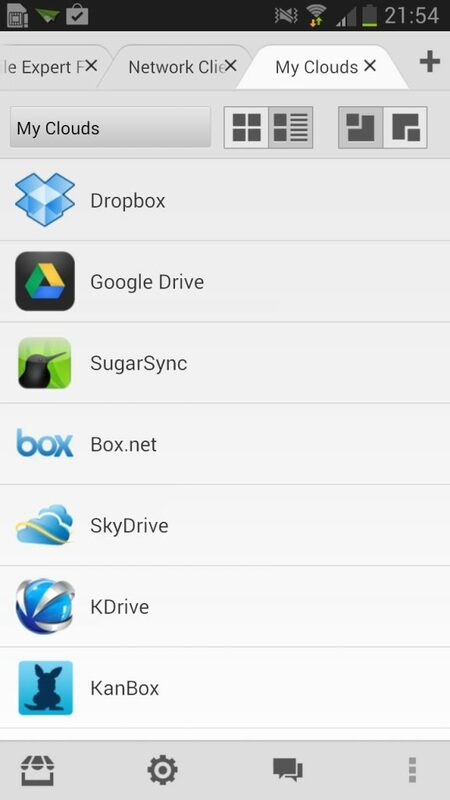 File Expert HD is a small download from the Google Play Store which promises to be the ultimate app for managing files on mobile phones, tablets, and cloud storage servers. Upon opening the App, my attention was instantly drawn to the Tabs along the tab, which reminded me of the Chrome Web Browser, and is a nice clean way of presenting multiple windows. The main screen (which I’ve decided to call it) presents My Files which are stored in a variety of locations across my device. File Expert HD assigns them into categories for me, so I can easily find a group of E-Books for example from anywhere on my device. If I want to drill down to see the source of these files, I simply click on the Folders tab up the top and am presented with the various storage mediums I have on my device. Moving steadily along to the final default tab that is open when File Expert HD is installed is My Tools. From here you are presented with a variety of tools from a cache eraser to a memory manager. 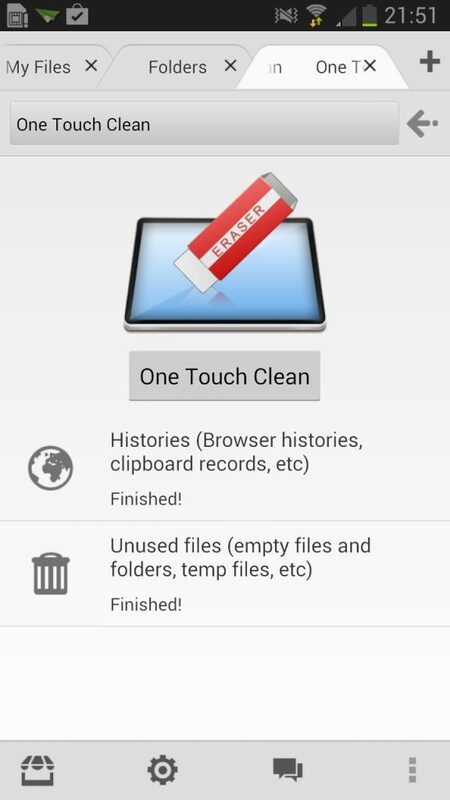 The One Touch Clean takes care of deleting all the rubbish that your device has accumulated during every day use; whether that be cookies, clipboard records, or temp files – File Expert HD takes care of them and deletes them at a touch of a button, and extremely quickly. Also included is a Memory Manager which enables the Memory to be manually allocated to certain services. I found myself sticking with the Default pre-setting and that seemed to work quite well. 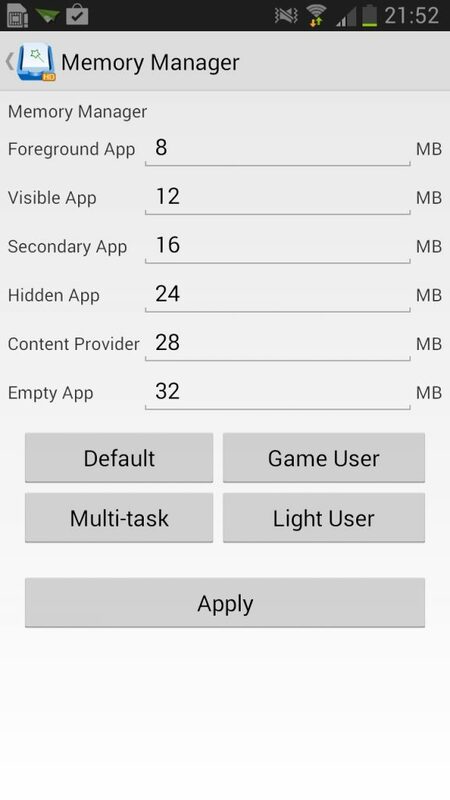 What is powerful about File Expert HD is all the extra functionality that is built in which you simply don’t get from other File Managers on the Play Store. 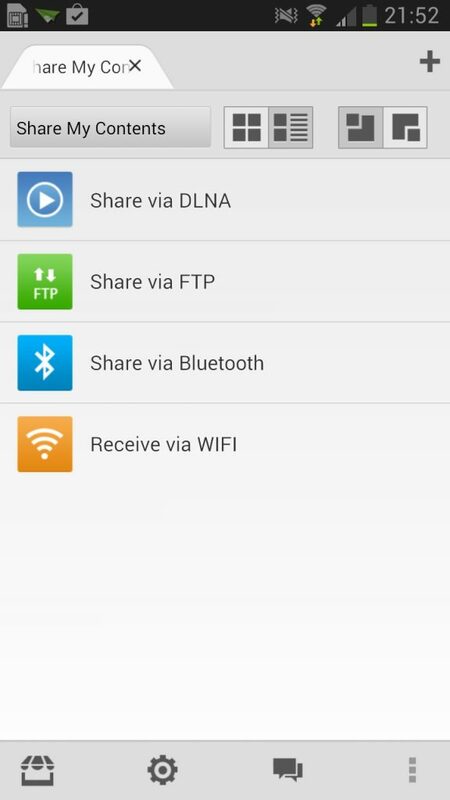 My favourite feature was the built in “Share My Content” tab which enables local content to be shared via a variety of methods from DLNA to FTP – all of which worked flawlessly. In addition to sharing content with other devices on your network, you are able to view files which are shared on the network. 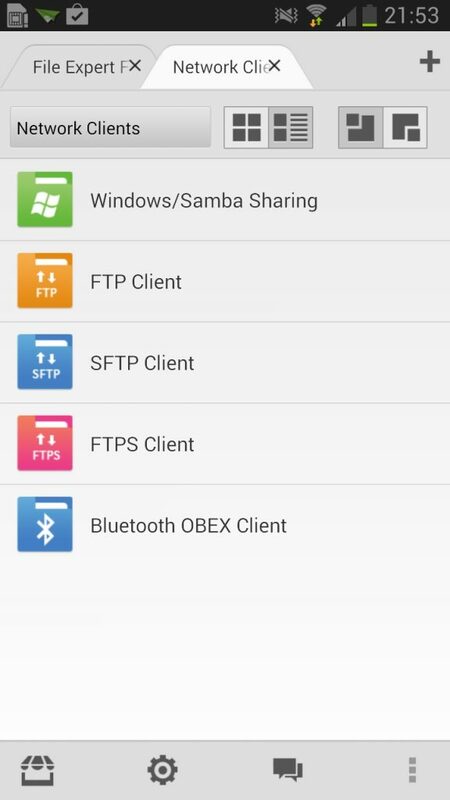 There are a variety of methods built into File Expert HD including FTP, SMB, SFTP, and Bluetooth. I found myself using Samba primarily and it worked without any issues. You are also able to access your cloud storage from within the App, and the range of services that File Expert HD can hook into is impressive. Everything from Dropbox to SkyDrive is included and you can pull and push files till your heart is content. File Expert HD sets out to do one thing and that’s to help users locate their files quickly and easily, organising files into predefined categories, and it certainly does that. With the built in search engine, I could search for a file which I’m pretty sure was on my device, but couldn’t locate, and seamlessly transfer it around my network without any trouble. File Expert HD is packed full of features and is certainly more than just a File Manager – it is my solution to managing files on my device, on my network, and in my cloud storage. Well done GeekSoft, you nailed this one. The Pro Key will set you back £3.05 from here, but it’s worth every penny.